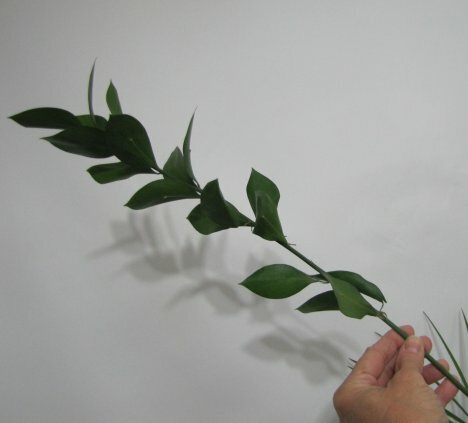 Israeli Ruscus is one of my favorites to work with. 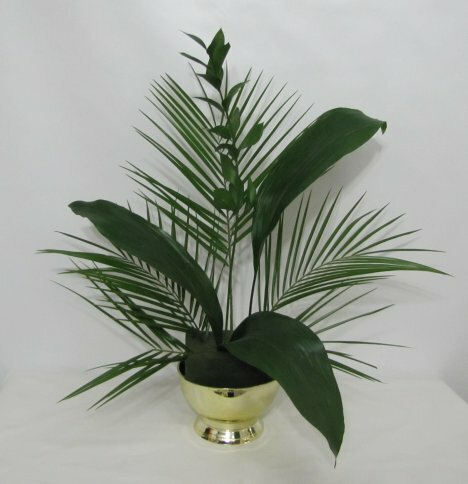 It is available year round and has rounded leaves down it's stem. 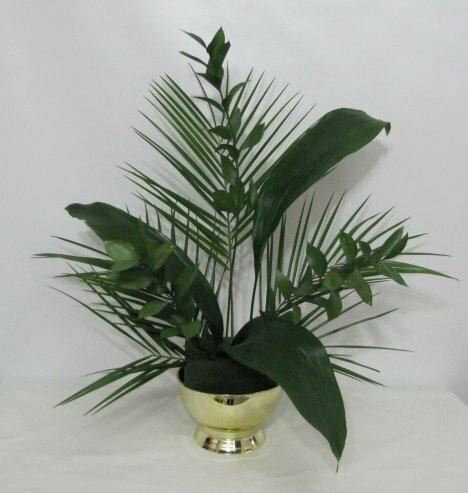 It is a sturdy green with a solid stem that stands well in a vertical arrangement. 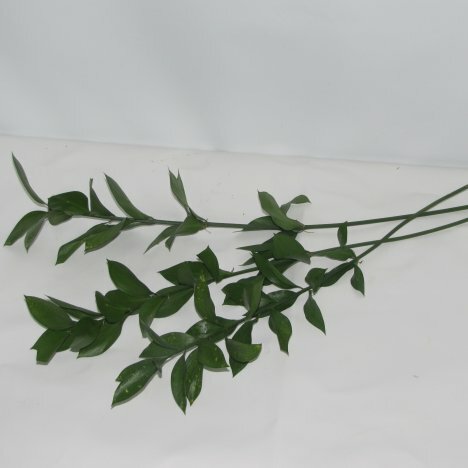 I use Israeli Ruscus to give a tall, linear look to the center of the back of this flower design. Cutting two more pieces a little shorter, I angle one to the right and the next to the left.